Steve is your local Wentworthville Building Inspector. 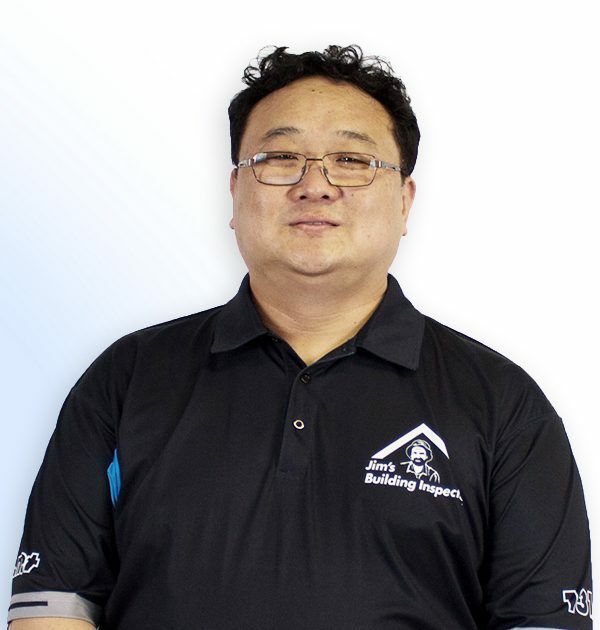 Steve Ahn has been in the building industry since 1994. For twenty-two years, Steve has worked in both domestic and commercial enviroments as a supervisor, project manager and contractor. Steve has an in-depth knowledge of building and construction, with extensive experience in new constructions, extensions and alterations of old and new buildings. Steve ran a building maintenance company for a few years prior to joining Jim’s. From there he has built up a complete understanding on the type of defects, the cause of the defects and methods to tackle the defects efficiently. Steve has driven himself in learning a specific trade to understand the building construction in detail. He has attended and completed a number of courses including waterproofing, tiling, and painting. Steve would understand your house from the structure to every end of the finishes. Steve has also completed courses to qualify him as an Asbestos assessor, Pool Fence Safety Certifier, and Pest and Termite management assessor. With his experience and understanding of building and construction, Steve is able to carry out complete and competent building inspections including pre-purchase, new construction, new stage construction, pest and termite, asbestos and pool fencing inspections. In addition he is fully qualified to create Dilapidation and Property condition reports. Steve has a qualification as a Master Builder Association Accreditated Building Inspector. Steve joins the JBI team as our Wentworthville Building Inspector. He is very passionate about his work with Jim’s as he is able to utilize the various knowledge and skills that he has built up over the last twenty-two years. He is always keen to help out more customers and mentor them in choosing the best inspection for their individual needs.